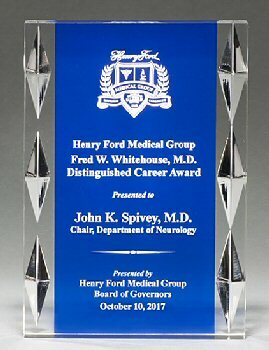 One inch thick freestanding acrylic with blue background and carved jewel accents will be the hit of your award ceremony. 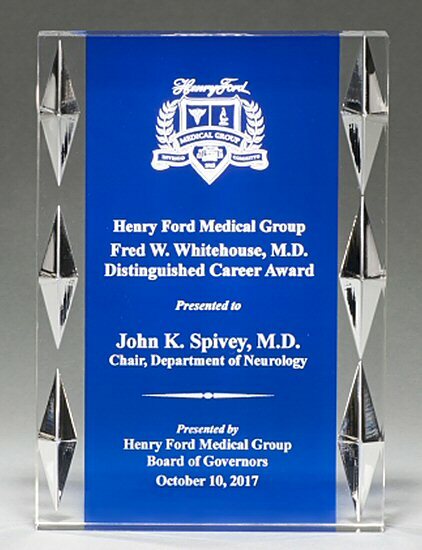 Free reverse laser engraving gives this acrylic award a dazzling look. Before shipping, a proof will be emailed for your approval.